Look out! Zoe is ready to ride a bike just like a big kid! It may take a little practice, but soon Zoe learns to ride her tricycle all by herself–zoom zoom! Kara McMahon has written many childrens books, including the Sesame Street titles Big Enough for a Bike, Squeaky Clean (All About Hygiene), and Just the Way You Are. She lives in New York City with her husband, Bryan, and their cats, Friday and Cindy Lou Who. John E. Barrett is a childrens book illustrator. His works include Big Enough for a Bike and Baby Party. 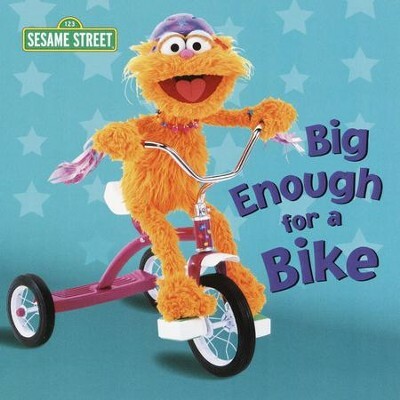 I'm the author/artist and I want to review Big Enough for a Bike (Sesame Street) - eBook.